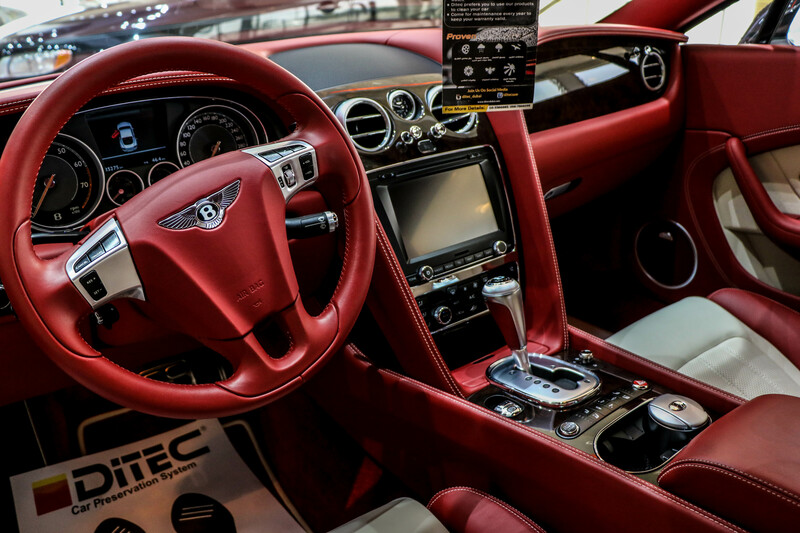 Enjoy the driving experience inside your car with premium Interior cleaning and Interior detailing from Ditec Dubai. 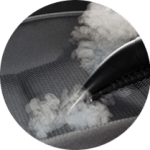 We offer a complete range of services, from delicate upholstery cleaning to intensive car seat cleaning to give you an interior environment that exudes comfort and relaxation. Whether you for personalisation or for improved protection, we have window tinting options that deliver exactly what you need. 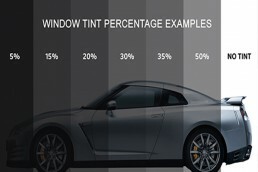 With varying gradations and options to choose from, we can provide you with the exact level of tint and shade that you need on your car windows. 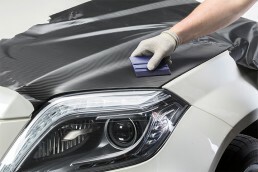 Shield the paint job of your car from the daily rigours of travel and the effects of weathering with premiere paint protection solutions in Dubai from Ditec, the leading name in car detailing services. Anyone who has experienced a roadside breakdown understands the hassle of being stuck on the side of the road, waiting for help to arrive. 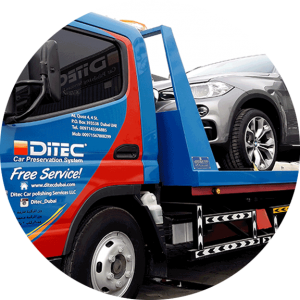 With Ditec, we will make sure you do not stay there for long. 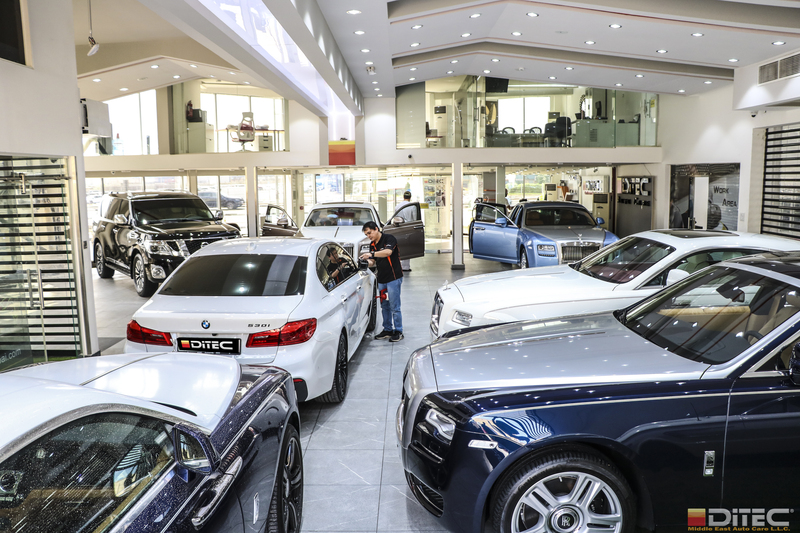 We will provide quick, timely, and effective car recovery solutions for you, wherever you are in Dubai. 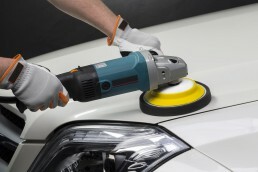 When we take care of a car, we do our utmost to restore the car to as close to new condition as possible. 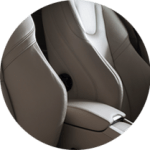 Leather should be maintained to reduce the risk of miscoloration and cracking. 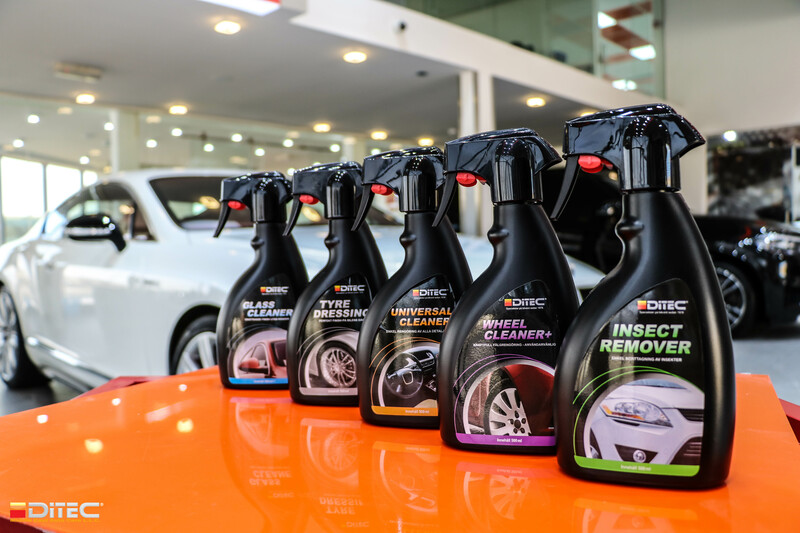 Keep your car looking pristine and beautiful in any weather, on any day, with the help of premier car polishing services from Ditec. 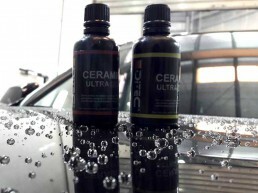 From waxing to detailing and polishing, we can buff up your car and make it look brand new. 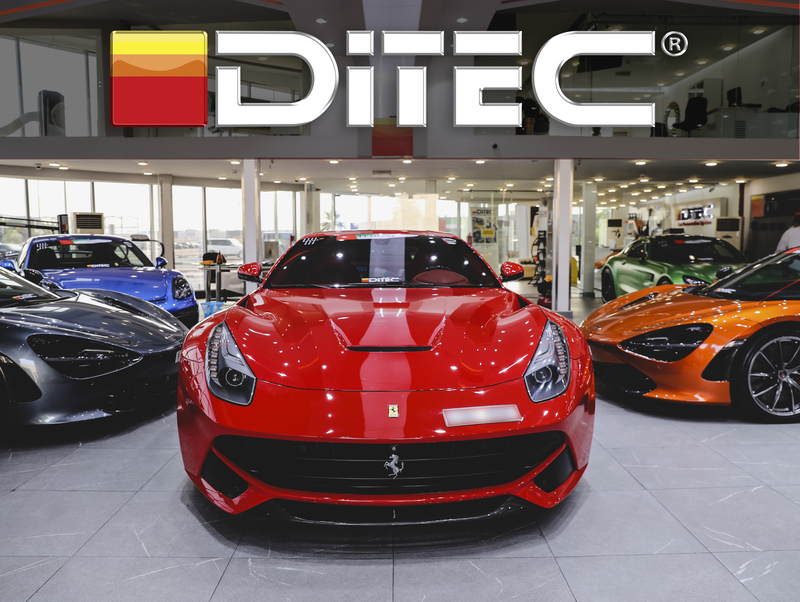 Personalise your vehicle with bespoke car wrapping solutions from Ditec Dubai for a car that you can truly call your own. Whether you are looking for a drastic design change through a customised car foil or something as simple as headlight protection to improve the longevity of your headlights, we can help you.